My go to best cigar was Padron 1964 #4 natural. I wanted something a little stronger. Now I have 2 go to cigars. Love them both. Excellent draw, excellent flavor. I tried these back when it was the cigar of the year. They still hold their own and produce the creamiest subtle smoke around. Consistent, smooth, delicious, a wonderful cigar to relax on a lazy afternoon here in the desert! I can't add to what has already been said about Padron, but the 1926 is my all time favorite smoke! 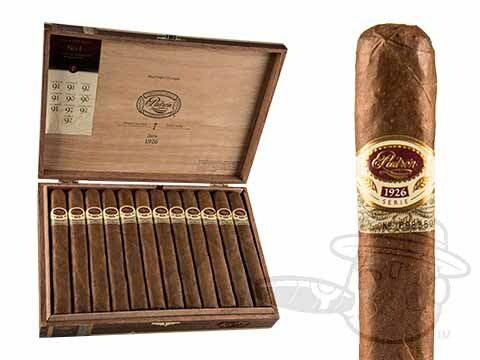 Padron Anniversario Serie 1926 #1 Natural is rated 5 out of 5 based on 4 customer ratings.